We are a relatively young dealership, having opened our doors in 2012, but we have an experienced leadership team. We are always looking to expand, and if you want to become a part of what makes Alfano Motorcars so great, then you should fill out an application below. We offer an extensive benefits package, and you will get to work alongside an expert team of passionate people. Once you submit your application, we will look over all the details. 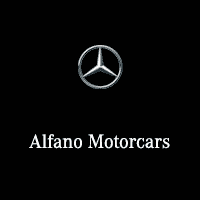 If we think you have what it takes to be a part of what makes Alfano Motorcars so great, then we will be in touch with you very soon.